One of the easiest and the most overused ways of designing a wedding cake on a French theme is to bring in an image of the Eiffel Tower in some way. 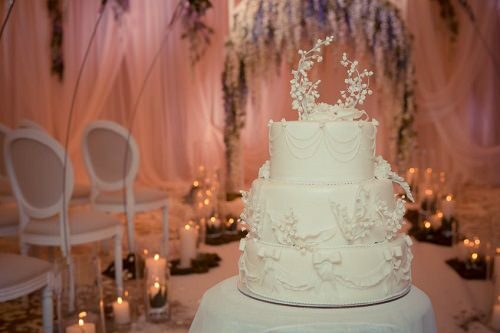 If you’d like to be more subtle, you can try lace-inspired cake decorations. Croquembouche, the traditional French wedding cake, can be a good choice, too. These cakes are flavored with vanilla, chocolate and pistachio. You could also try a macaron cake.